It just so happens that every Tuesday, it rains terribly during my shift at the McMullen Museum. The second the clock strikes 1:30 pm, it begins to rain right as I head to the Museum. 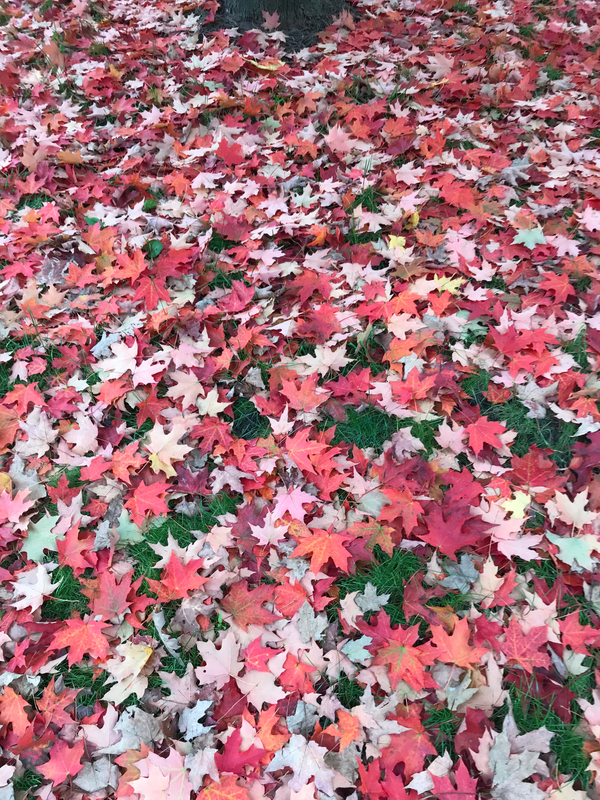 The bright red leaves become soggy piles of mush, puddles of mud flood my walk, and I ask myself why does it have to rain every Tuesday? I walk from Gasson Hall to the Museum, hair drenched and shoes soaked, peeved at Mother Nature for deciding to downpour during my shift. Then I sit at the front desk, watching the rain hit the glass windows of the atrium, wondering when the rain will end, and question why this happens every week. Despite it all, I’ve come to realize that the McMullen Museum is the perfect place to be when it’s raining. Although rain is associated with gloom and darkness, I’ve come to love watching the rain fall from the comfort of the glass atrium. I’ve been so accustomed to the darkness of dorm rooms, especially when it rains, and the glass windows of the McMullen Museum are a bright escape from the poorly lit dorm room and dark hallways of Gasson Hall. 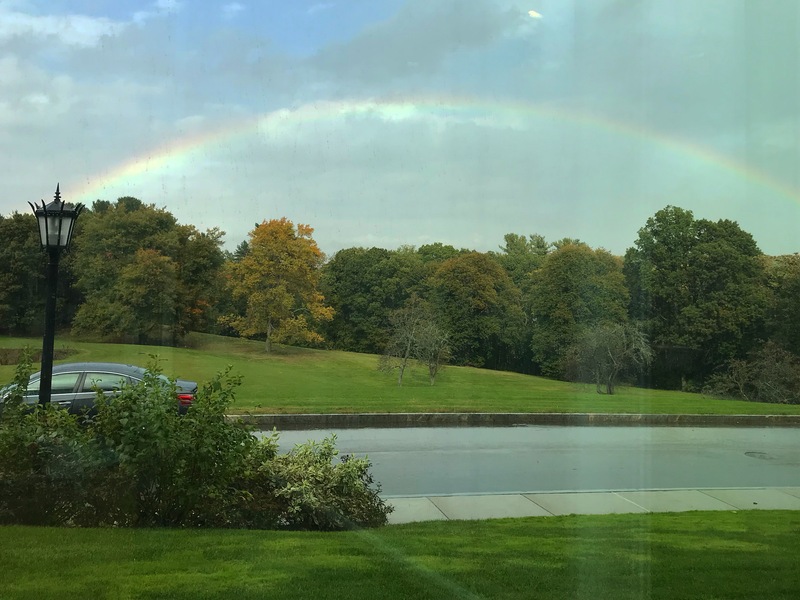 It’s actually quite uplifting to watch the rain fall in the atrium, especially when a beautiful rainbow shines over the Brighton campus. 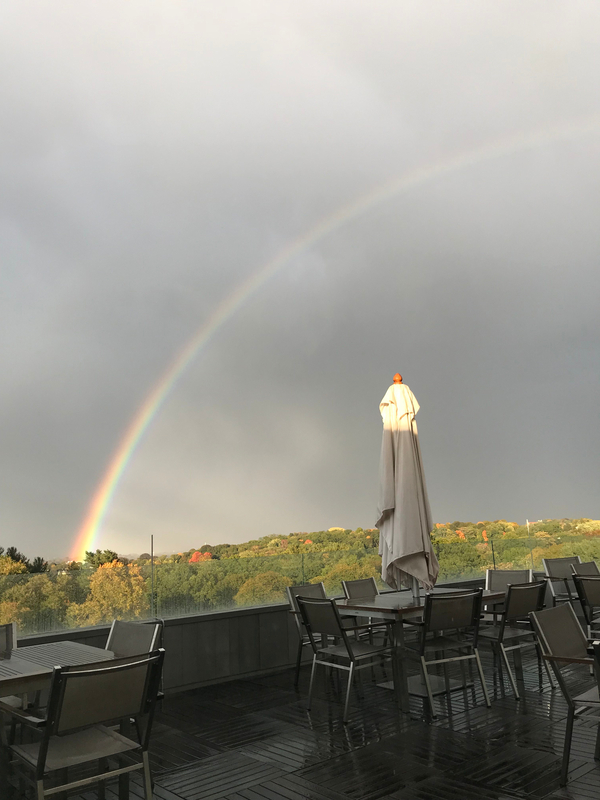 The most beautiful rainbow I’ve ever seen grew over the terrace and circled around the museum. Everyone rushed to the terrace to photograph the double rainbow, and suddenly everything I dreaded before took on a new light. 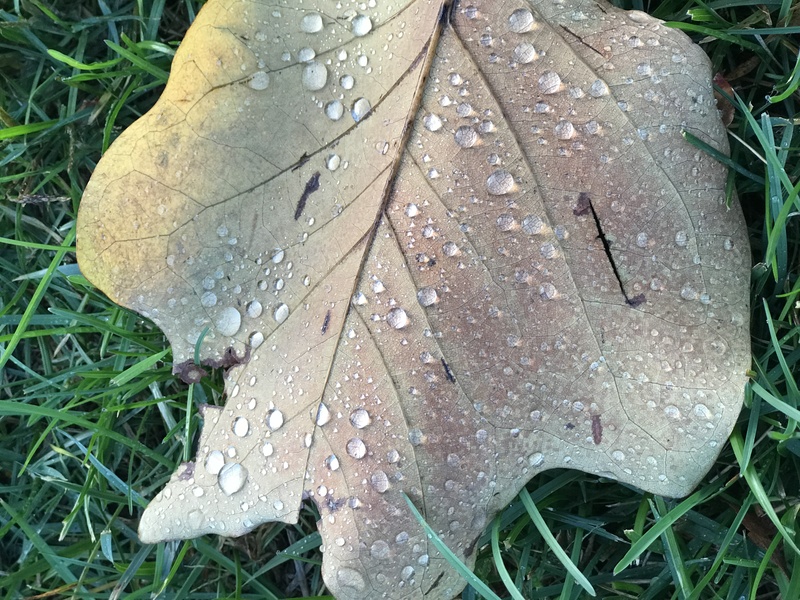 The soggy leaves became crisp and dotted with rain droplets and the puddles were reflections of nature around me – nature I usually neglect amidst heaps of homework and assignments. The next time it rains, I highly recommend walking over to the McMullen Museum and watching the rain from the atrium. Grab an umbrella, don your rain boots, set up a rainy day playlist – or even download the McMullen’s podcasts – and make the journey to the museum. I’ve never been one to enjoy the rain, but the museum space provides a cozy nook to admire the Brighton campus and the beautiful nature I usually take advantage of.